Welcome! I am Shafe, and this is my space in the blogosphere. I am an expat wife to a globe-trekking husband, a mom, a restaurateur, book-addict, travel- lover, amateur cook, crystal figurine collector, novice photographer, Disney pin collector, lazy scrap-booker and a homemaker. I am chased, pushed and pulled around the house by my four youngins, (yes, you read four). We have made our home in Abu Dhabi in the Middle East and love every moment in the lively growing city it is. 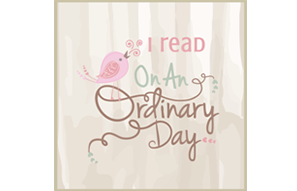 On An Ordinary Day is our record of the ordinary and extraordinary days in our busy household with tantrums, tears, laughs, giggles and milestones. There will occasionally be talk about food, my travels (as rare as they may be now), scrap booking pages, books and more. Blogging is my way to connect to other mom and food bloggers in the middle east and around the world. If you don’t want to miss a post, you can subscribe by RSS. I tweet a LOT and think it’s a great space to shout a 140 character so follow me – Here. I would also love for you to like my facebook page-> Here.